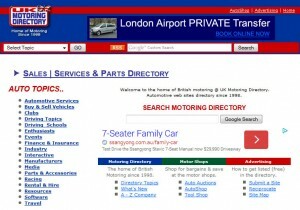 The UK Motoring Directory has been the home of British motoring since 1998. The UK Motoring Directory is a human-edited directory of motoring industry web links maintained by a team of motoring enthusiasts. We were the UK’s first online directory dedicated to the automotive industry and have been visited by over 30 million visitors since 2000. 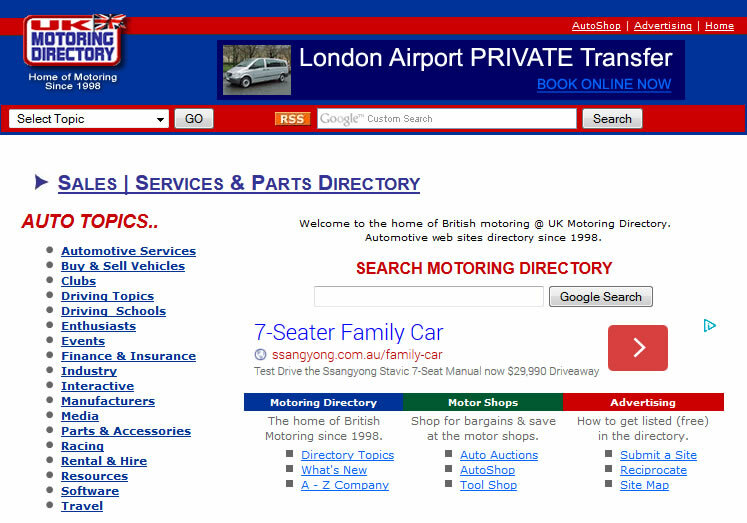 The UK Motoring Directory platform has been recognised for its innovative approach from categorization to software development, display and optimisation leading to top rankings with all major search engines including Google, our preferred search partner.